Meritech is the Gold Standard in Employee Hygiene. The MBW 9000 Automatic Boot Scrubber Station washes and sanitizes the soles and up to nine inches of the sides of boots, in just seconds! Designed for wet, industrial environments like food processing, the MBW 9000 Boot Scrubber is ideal for production areas where the entire boot needs to be cleaned. This compact boot scrubber provides cross contamination control at plant entrances and between processing operations by continuously applying a strong sanitizing solution to boots through high-pressure nozzle jets. Meritech is the only manufacturer of industrial boot scrubbers that includes a 5-year parts and labor warranty - this includes 2 visits per year for cleaning, calibration, and certification – and on-call service at no charge. Schedule an on-site demonstration and free consultation today! MBW Soles Only Boot Scrubber for industrial food manufacturing plants. Manufactured in Golden, CO USA by Meritech. Come see us at one of our upcoming tradeshows. I would highly recommend Meritech's Cleantech handwashing systems - We've had our systems for over five years and they have been very easy to maintain and reliable. We've been very happy with the service too. Chris, our Regional Account Manager, has been excellent - very dependable professional and always has a positive attitude. It's a pleasure working with Meritech because of their commitment to the customers they serve. Our Account Representative, Melanie Mobley is the best! She is a true asset to the Meritech organization and maintains our account very well. Whether it's making sure we have adequate inventory of product or questions related to our service agreement on equipment she's always there for us! We have been using the Meritech Cleantech handwasher since 2010 in our pharmacy prior to entry into our IV room. Our staff find if fast and soothing leaving the skin soft and smooth. This device has improved our hand washing practices in the pharmacy. The system works very well — fast, convenient — we do not have to turn the water on or off, find soap, etc. The fact that it starts automatically when you place your hands in the washer and that it rinses the soap off in the last couple of cycles is excellent. It works very well for our IV clean rooms. In an era of worsening customer service, I never expected to really get help for the problem I was having. Our facility uses your hand wash systems and during our Global Food Safety Initiative audit this week the auditor started trying to find a reason to say that the system does not meet the code. He first said he would like to see some experimental data that supports the use of these systems over traditional hand washing. When I gave him the laboratory study that was posted on your website he accepted that, but then challenged me by asking "How do you know the chemical concentration is correct?" I wasn't sure how I was going to answer that so, in desperation, I sent out a HELP! on your website. It was past normal business too. I didn't really expect anything in time for our audit wrap up in the morning. Boy, was I surprised when Melanie called my cell phone less than 5 minutes later. She provided a procedure for us to check the PPM, also a service contract to have the units serviced and calibrated — if that is what we choose to do — and finally she sent me the results of a concentration check that was done in January, as a courtesy by your technician who was in the area! I can't thank you enough. Meritech has the most friendly staff you could ask for. It is a pleasure to do business with them. Melanie and her staff are always at the top of their game. Always eager to answer any question you may have, and always know their stuff. You’ve helped us save time and resources over the past year, while keeping our lab staff safe. Thanks for your great service, and we look forward to a continued partnership with you. We love the CleanTech machine and we have been thrilled with the response from our staff, patients and visitors. Our number one priority is to increase hand hygiene compliance rates. Our mission is to always provide quality care and this is just another step in our efforts to offer safe, effective, quality health care services. I was pleased to find that six hours after using the CleanTech system, my hands felt good. [This is] particularly important in the brutal Minnesota winters when our hands get so chapped from all the washing. The benefit of moist comfortable hands only increases handwashing and helps in the prevention of the spread of infections. ~Adriene Thornton, RA, MA, Infection Preventionist at Children’s Hospitals and Clinics of Minnesota. I would like to take time to tell you how delighted we are with our two CleanTech automated handwashing machines. The first one we have had nearly a year and a half on our step-down unit. It is placed in a central location so that everyone, nurses, doctors, therapists, housekeeping, etc. can take advantage of it. Since installation of the machine there has been 10,146 washes recorded on the counter. Our second machine was recently installed on the Burn ICU and the staff there is just as delighted as their peers on the step-down unit. We require all visitors to wash their hands before they visit their loved ones so this machine will get plenty of use from them as well as all the healthcare personnel. To date there are 3169 washes recorded on that counter. I would gladly recommend this machine to anyone and show it off to any groups that come to visit our unit. I was compelled to take this opportunity to write you and commend you on such a fine product, the CleanTech automated hand cleansing system. As one of the institutions in which the prototype was piloted, we can attest to the transformation from such to near-perfection. It meets and exceeds our patient care needs, in terms of reducing the spread of infection, and requires virtually no maintenance. The system has increased compliance with handwashing for visitors. It is so quick and easy. We don’t have the issues with people not scrubbing in for the full time like we did before. Meritech helps companies with their employee hygiene, bioburden control, and infection prevention programs in a wide variety of markets. 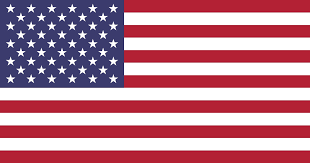 Meritech equipment and soaps are proudly manufactured in the U.S.A.